First and foremost, you need a platform that will grow with you. In fact, you’re probably already aware of the headache that comes with switching from one sales platform to another. You have enough on your plate as it is – and you don’t need another one. Shopify Plus is designed to grow as your brand, or online shop does. Why is it so important to find a platform that grows with you? Well, we mentioned one of the major headaches above. The others include search options that include all of the items in your shop – not just some of them. This involves the use of tagging and categorizing that smaller online stores simply don’t offer. On top of this, your store might need to integrate and sync its order management functions, and you might want to do some multi-channel sales with a number of different online partners. Again, these are things that smaller e-commerce platforms just don’t offer. 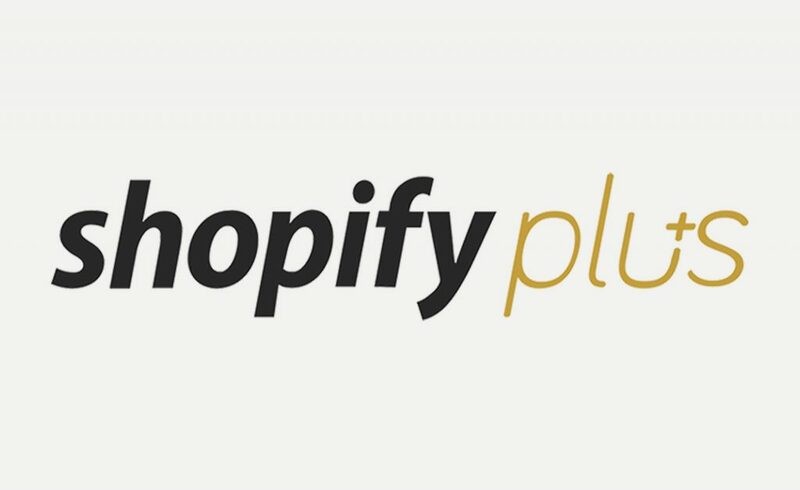 Shopify Plus does. The statistics don’t lie. Merchants on Shopify Plus manage to grow their stores by 126% every single year. This is because the platform has a lot to offer. The people who run Shopify Plus don’t just have you set up your shop and then sit back. No, they provide the tools that you need in order to increase your revenue. This is done on a technical basis. Look at this way – Shopify Plus is built on a reliable platform that’s working over 98% of the time. Your shoppers won’t get frustrated and go elsewhere, because your shop is almost always up and running. On top of this, the response time for each storefront is a mere 45 second. This means that the shops load very quickly. In addition, the time that it takes to get through the checkout process (where a lot of e-commerce shops lose buyers) is 40% faster than the competition. They even offer unlimited bandwidth. If your shop sees a spike in visitors after a media appearance or press release goes out, then everything is great, because your site won’t go down. Shopify Plus’s servers can handle that additional capacity. Lastly, Big Commerce pricing packages are a major turn off when compared to Shopify Plus. Some e-commerce solutions fail to include a lot of customization options. And if they do, they make them so hard to accomplish that people bail out and stick with the basics. Not Shopify Plus. This online platform not only makes it possible to completely customize your store, but they make it very easy to do. They use a combination of CSS (cascading style sheets), HTML (the basic coding language), and Liquid, which is the main Shopify template system. You don’t need to be an expert – or spend hours contemplating your options – in order to customize the overall look and feel of your shop. The customization doesn’t stop there. You can completely adjust how the shopping cart looks, as well as every step of the checkout process. This allows you to keep your overall branding in place from start to finish. You can even include keywords in every step in order to enhance your overall search engine results ranking through Google. The fact that you can do all of this in a limited amount of time is quite amazing. Not only is Shopify Plus a platform that will grow with your business and something that’s easy to customize, but they also offer quite a bit of support and overall optimization. If you ever have a technical problem with your online shop, you can contact one of their support representatives and receive a solution in a very fast manner. They are ready and willing to help you grow. In addition to this, your online shop must be optimized for smartphones, tablets, and other devices. The code for this is built into every shop, no matter what, so you don’t have to worry about losing customers over things like functionality and accessibility. Speaking of accessibility, you can set up your Shopify Plus store so that it appears on Facebook, Instagram, and many other places online. People will no longer have to click on a link in order to go to your shop in order to buy something. Instead, they can go straight through the platform that they’re on. As you can see, Shopify Plus is incredibly useful!